Hindus have welcomed proposal of Hartsfield-Jackson Atlanta International Airport (ATL) to create Yoga/Meditation space, and hope that it will be available free-of-charge to users like some other US and international airports. ATL is seeking proposals to develop “Traveler’s Oasis” on its T & B Concourses totaling 4,334 square feet, which includes Yoga/Meditation space with yoga mats, with the optional provision of “instructional yoga exercise technique videos”. Calling it a step in the positive direction for ATL, distinguished Hindu statesman Rajan Zed, in a statement in Nevada today, urged all top world airports to provide yoga facilities for the passengers if they wanted to help reduce their stress levels and be “world-class” airports. Zed urged ATL authorities to keep the Yoga Space open round-the-clock and invite the local yoga studios/teachers to hold occasional free yoga classes there for the passengers, employees, vendors and visitors. Awards-winning ATL with history going back to 1925, owned by the City of Atlanta and operated by its Department of Aviation and spread in 4,700 acres; claims to be “the busiest and most efficient airport in the world”. It reportedly offers nonstop service to over 150 domestic and 75 international destinations and serves nearly 104 million passengers annually. Keisha Lance-Bottoms and Roosevelt Council Jr. are Atlanta Mayor and Airport General Manager respectively. 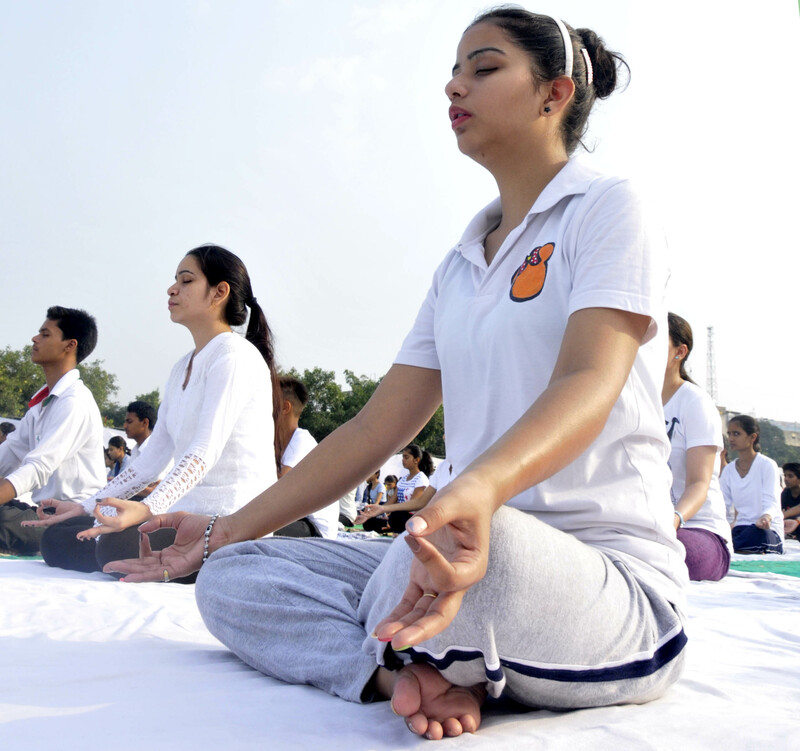 Yoga – a tonic for concentration free of cost. Yoga sharpens mental and physical reflexes.